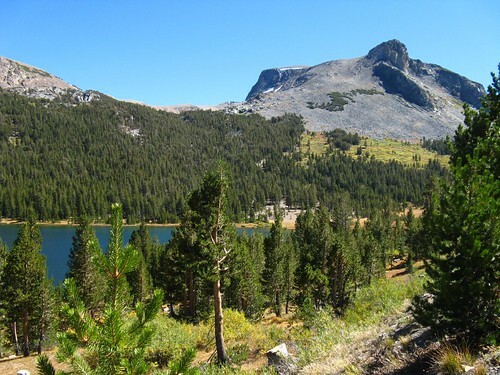 Tioga Pass, at 9945 feet, is the highest pass over the Sierra Nevada Mountains of California. Tioga Pass Road stretches from the small town of Lee Vining, through Inyo National Forest and Yosemite National Park, meeting up with Big Oak Road near Yosemite Valley. It is a spectacular drive through the High Sierras.